Extreame Savings! 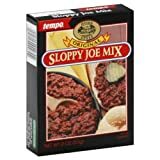 Up to 48% off on Sloppy Joe Mix at Smokey Robinson Foods. 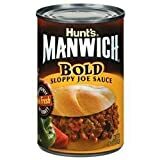 Top brands include Tempo Farms, Grandma's Seasonings, Tempo, Simply Organic, Manwich, Red Fork Natural, McCormick, Hunt's, PRECISION FOODS INC, Durkee, Williams Foods, & Hunt's Manwich Sloppy Joe Sauce. Hurry! Limited time offers. Offers valid only while supplies last. 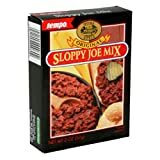 Tempo Sloppy Joe Mix - 2 Oz Pack - 12 Per Case. 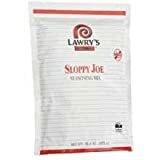 Foothill Farms Sloppy Joe Seasoning Mix, 11.44 Ounce - 6 per case.